What do we mean when we refer to our "identity," and how do we represent it in the stories we tell about our lives? Is "identity" a sustained private core, or does it change as circumstances and relationships shift? 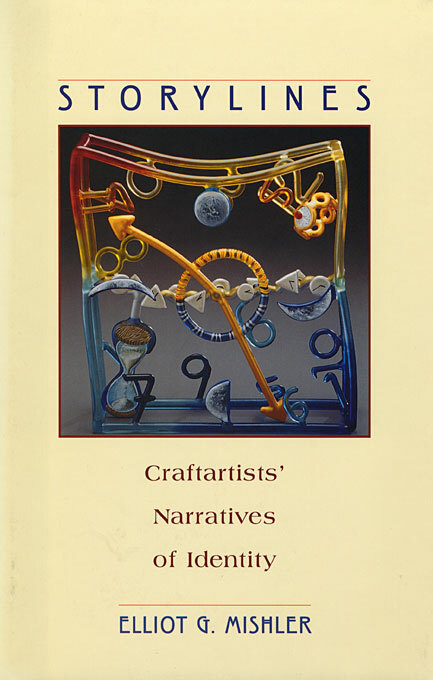 In this thoughtful and learned book, a recognized master of research interviewing explores these questions through analyses of in-depth interviews with five craftartists, who reflect on their lives and their efforts to sustain their form of work as committed artists in a world of mass production and standardization. The artists describe their families of origin and the families they have created, and the conscious decisions, chance events, and life experiences that entered into the ways they achieved their adult artistic identities. Exploring these continuities, discontinuities, and unresolvable tensions in an analysis that brings new sophistication to a much-used term, Elliot Mishler suggests that "identity" is always dialogic and relational, a complex of partial subidentities rather than a unitary monad. More a verb than a noun, it reflects an individual’s modes of adaptation, appropriation, and resistance to sociocultural plots and roles. With its critical review of narrative research methods, model of analysis for the systematic study of life stories and identity, and vision of how narrative studies may contribute to theory and research in the social sciences, Storylines is an eloquent and important book for narrative psychology and lifespan development.